Is OptiNose, Inc. (NASDAQ:OPTN) A Good Stock To Buy? At Insider Monkey we track the activity of some of the best-performing hedge funds like Appaloosa Management, Baupost, and Third Point because we determined that some of the stocks that they are collectively bullish on can help us generate returns above the broader indices. Out of thousands of stocks that hedge funds invest in, small-caps can provide the best returns over the long term due to the fact that these companies are less efficiently priced and are usually under the radars of mass-media, analysts and dumb money. This is why we follow the smart money moves in the small-cap space. In this article, we’ll take a closer look at OptiNose, Inc. (NASDAQ:OPTN). OptiNose, Inc. (NASDAQ:OPTN) shares haven’t seen a lot of action during the third quarter. Overall, hedge fund sentiment was unchanged. The stock was in 6 hedge funds’ portfolios at the end of September, which is far from enough to make it as one of the 30 most popular stocks among hedge funds in Q3 of 2018. Just because the stock wasn’t one of the most popular in the third quarter, that doesn’t necessarily mean you shouldn’t consider it for your portfolio. We need more data to make a final call on the stock, which is why, at the end of this article, we will also compare OPTN to other stocks including The First Bancshares, Inc. (MS) (NASDAQ:FBMS), Achillion Pharmaceuticals, Inc. (NASDAQ:ACHN), and Pennantpark Floating Rate Capital Ltd (NASDAQ:PFLT) to get a better sense of its popularity. “The largest short position in the portfolio at the end of the third quarter was Optinose (OPTN). We have decided to unveil the name of the position at this time to provide greater clarity to our limited partners. The stock was a key contributor to performance in the third quarter and currently represents a material unrealized gain in the partnership. As a reminder, our goal on the short side is to generate positive absolute returns over the long term. We do not short stocks as a hedging mechanism to smooth our return profile because, in our experience, this activity is prohibitively expensive and time-consuming. Continuing with our analysis, we’ll take a gander at the recent hedge fund action surrounding OptiNose, Inc. (NASDAQ:OPTN). 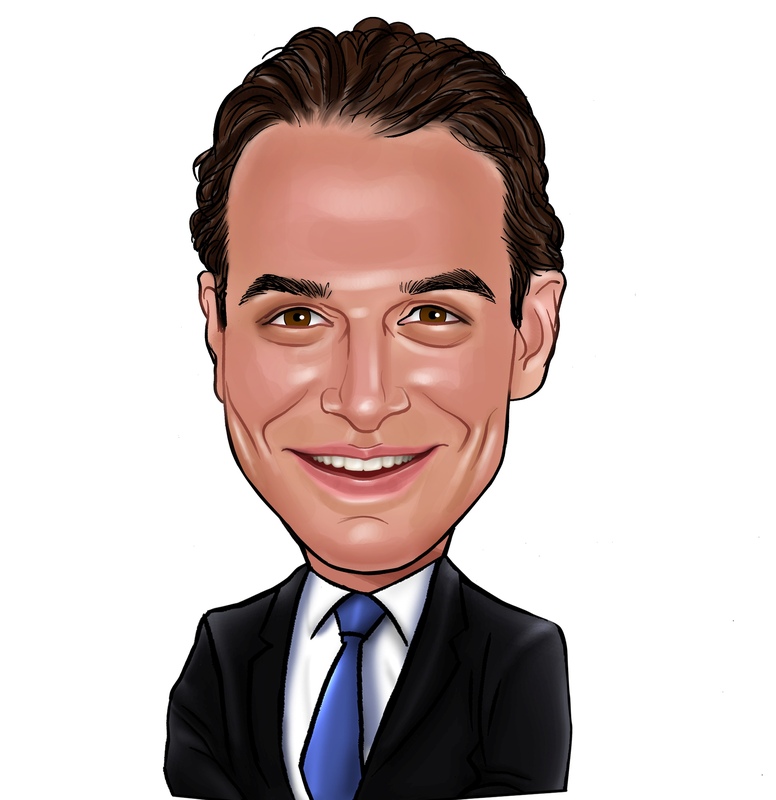 How are hedge funds trading OptiNose, Inc. (NASDAQ:OPTN)? At Q3’s end, a total of 6 of the hedge funds tracked by Insider Monkey were bullish on this stock, a change of 0% from the previous quarter. 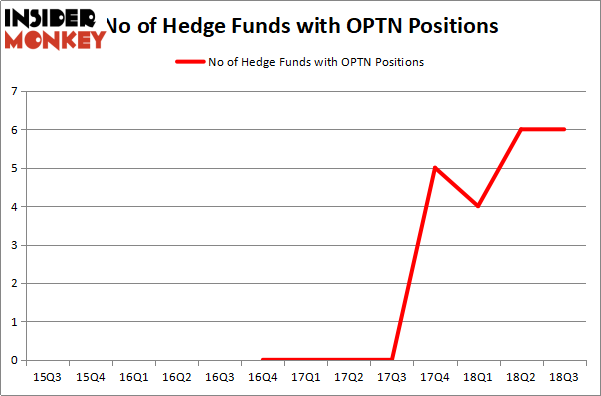 The graph below displays the number of hedge funds with bullish position in OPTN over the last 13 quarters. So, let’s examine which hedge funds were among the top holders of the stock and which hedge funds were making big moves. More specifically, Tamarack Capital Management was the largest shareholder of OptiNose, Inc. (NASDAQ:OPTN), with a stake worth $10.7 million reported as of the end of September. Trailing Tamarack Capital Management was Point72 Asset Management, which amassed a stake valued at $1.9 million. Millennium Management, Citadel Investment Group, and Moore Global Investments were also very fond of the stock, giving the stock large weights in their portfolios. Because OptiNose, Inc. (NASDAQ:OPTN) has witnessed falling interest from the aggregate hedge fund industry, we can see that there was a specific group of fund managers that elected to cut their full holdings heading into Q3. Interestingly, Richard Driehaus’s Driehaus Capital dropped the biggest position of all the hedgies followed by Insider Monkey, valued at close to $10.9 million in stock. Gavin Saitowitz and Cisco J. del Valle’s fund, Springbok Capital, also said goodbye to its stock, about $4.8 million worth. These moves are important to note, as total hedge fund interest stayed the same (this is a bearish signal in our experience). Let’s check out hedge fund activity in other stocks – not necessarily in the same industry as OptiNose, Inc. (NASDAQ:OPTN) but similarly valued. We will take a look at The First Bancshares, Inc. (MS) (NASDAQ:FBMS), Achillion Pharmaceuticals, Inc. (NASDAQ:ACHN), Pennantpark Floating Rate Capital Ltd (NASDAQ:PFLT), and Inovio Pharmaceuticals Inc (NYSEAMEX:INO). This group of stocks’ market caps match OPTN’s market cap. As you can see these stocks had an average of 11 hedge funds with bullish positions and the average amount invested in these stocks was $36 million. That figure was $16 million in OPTN’s case. Achillion Pharmaceuticals, Inc. (NASDAQ:ACHN) is the most popular stock in this table. On the other hand Pennantpark Floating Rate Capital Ltd (NASDAQ:PFLT) is the least popular one with only 5 bullish hedge fund positions. OptiNose, Inc. (NASDAQ:OPTN) is not the least popular stock in this group but hedge fund interest is still below average. This is a slightly negative signal and we’d rather spend our time researching stocks that hedge funds are piling on. In this regard ACHN might be a better candidate to consider a long position.